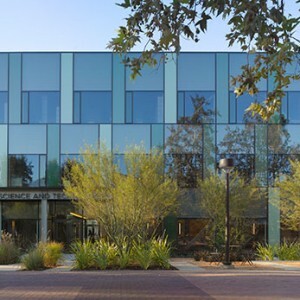 The Office of James Burnett: The Annenberg Center for Information Science and Technology at the California Institute of Technology provides a modern center for collaborative research and instruction in the disciplines of science and engineering. 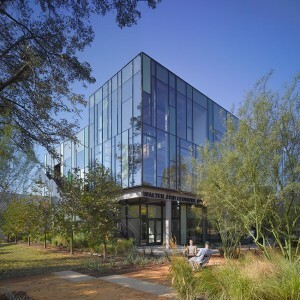 The facility represents the most recent of Caltech’s sustainability initiatives and is currently being evaluated for LEED Gold certification. 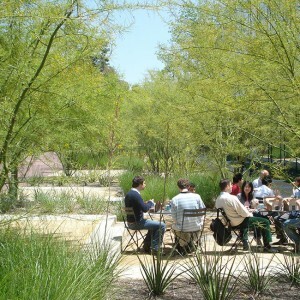 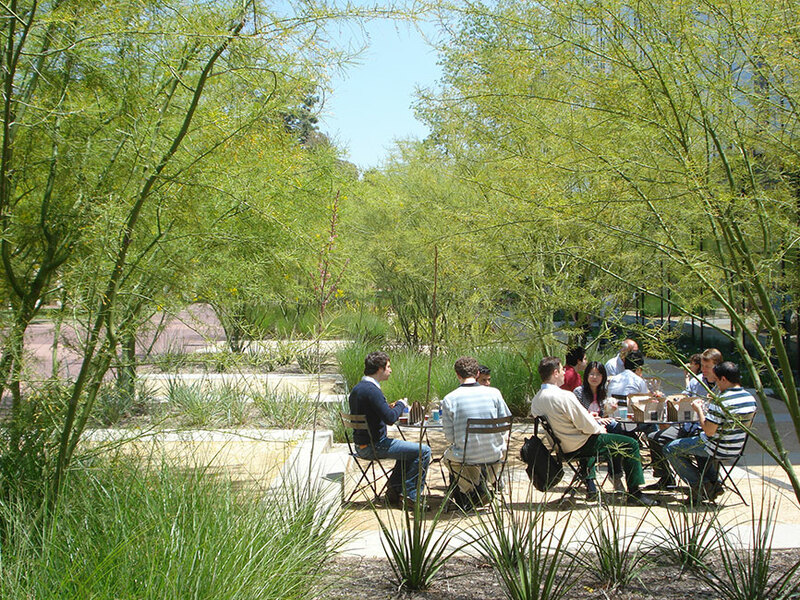 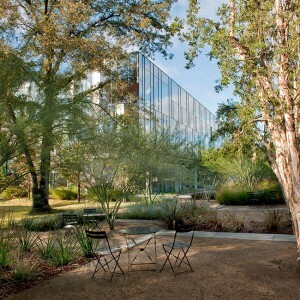 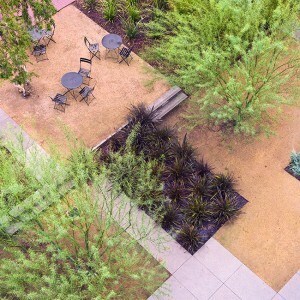 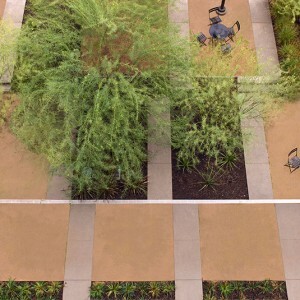 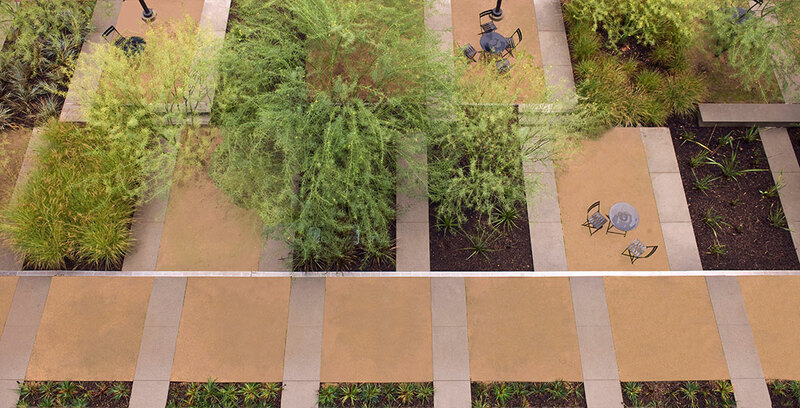 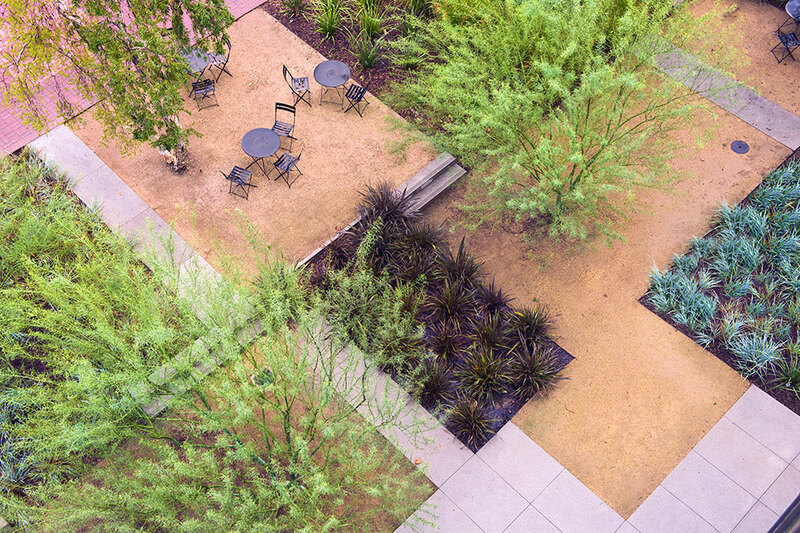 The landscape surrounding the building reflects this environmental ethic and exhibits a substantial departure from the traditional Pasadena ornamental palette. 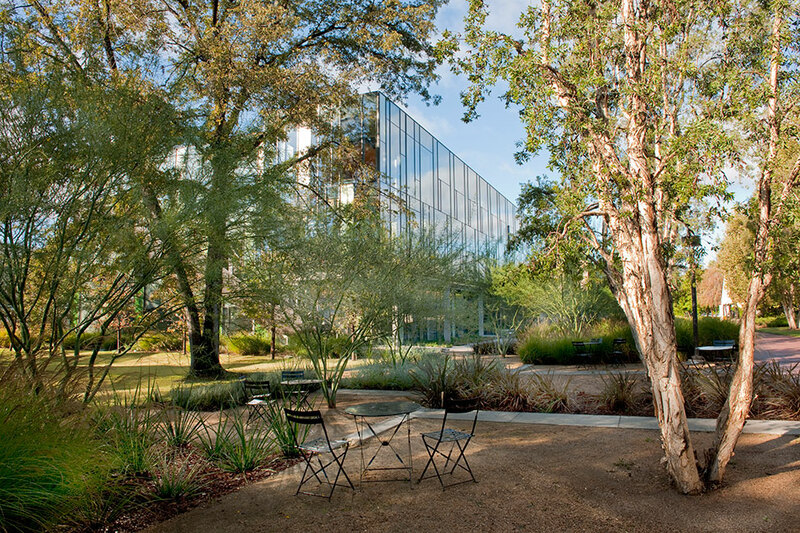 Palo Verde trees structure the building’s entry plantings, which are organized into a series of planks to echo the adjacent glass façade. 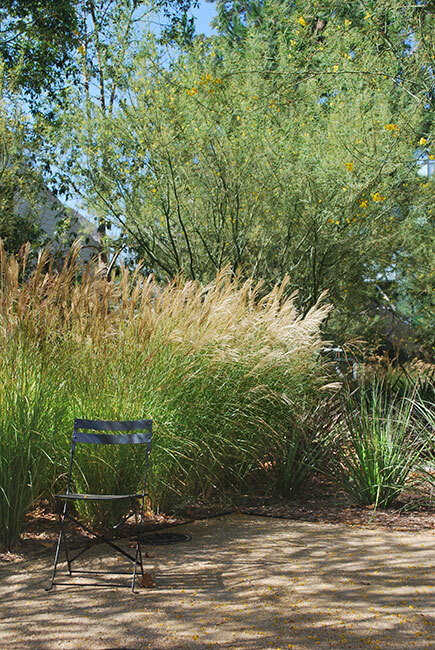 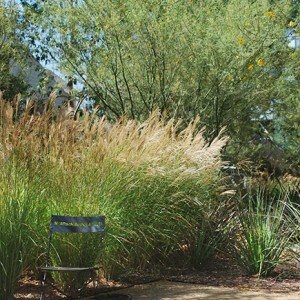 The shrub understory heavily focuses on water conservation and is comprised of a number of succulents and ornamental grasses. 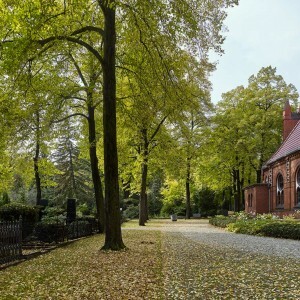 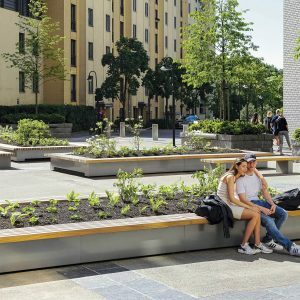 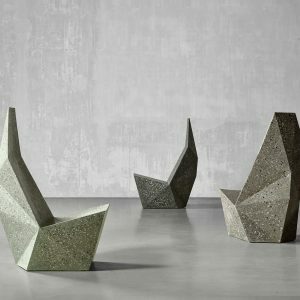 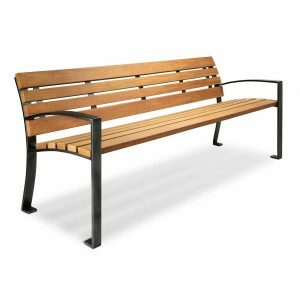 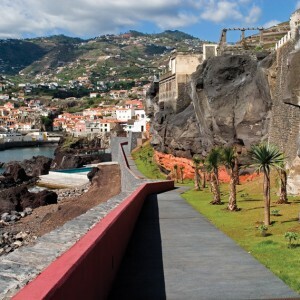 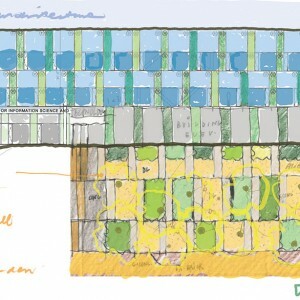 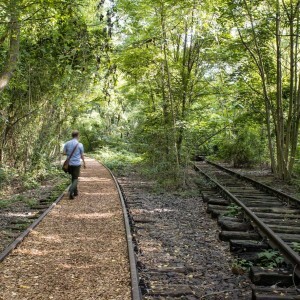 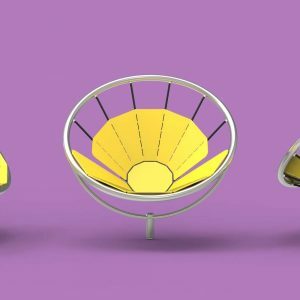 The project also includes a significant social component through its provision of decomposed granite seating areas with movable furniture, which are used for impromptu outdoor gatherings. 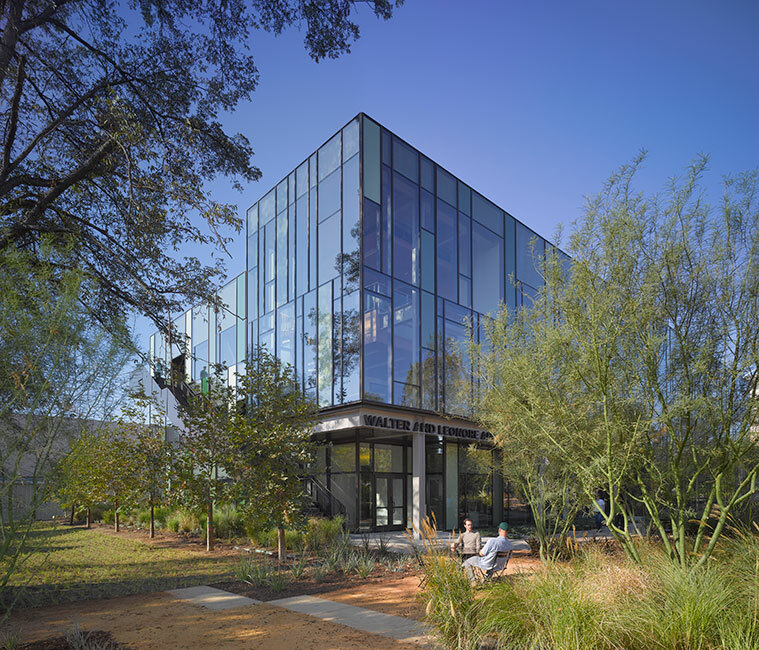 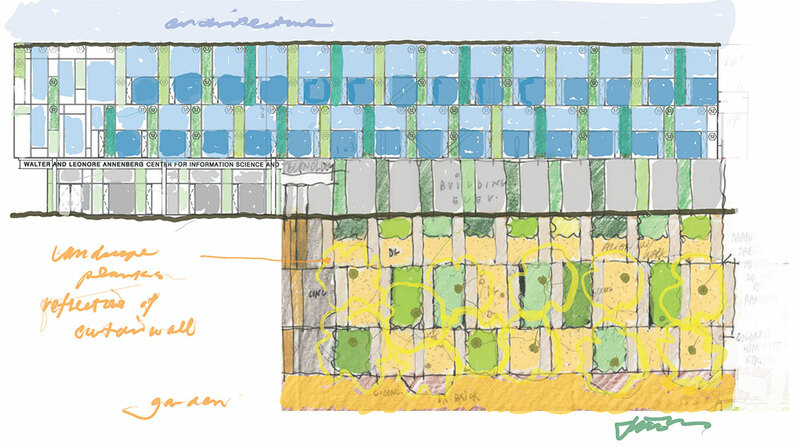 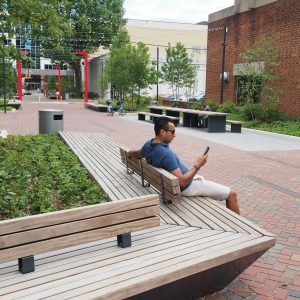 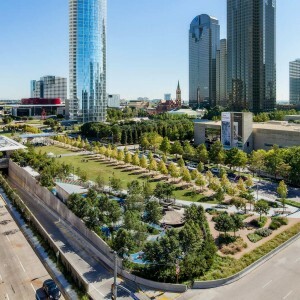 The new environmental aesthetic, with its concomitant water conservation benefits, is being enthusiastically embraced by the campus community.